The United States is now gradually waking up to a growing internal Islamic menace which desires to kill in the name of Islam. In the past week you have had three different cases involving Islamists who desired to kill and intimidate the people of America. In the United Kingdom the same problem exists but just like in America, under President Obama, both nations are pandering to Islam and propagating false lies about this religion. Therefore, it is time to focus on the real factors behind the growing Sunni Islamic threat within America and in other nations. The first important factor that must be understood is that this threat comes from radical Sunni Islam and not from Shia Islam. In America and the United Kingdom you have many Shia Muslims; however, it is clear that all major global Islamic terrorism derives from radical Sunni Islam. It is also abundantly clear that the Ahmadiyya Muslim community is not involved in terrorism because their brand of Islam is based on different interpretations and this branch of Islam suffers greatly in Pakistan and other nations, for example in Indonesia. Therefore, it is vital to understand where the focus should be because Ahmadiyya Muslims and Shia Muslims, and other branches of Islam like the Alevi, must be split from where the problem exists. In Lebanon you do have Shia terrorist organizations however they are focused on either internal problems in Lebanon or on the situation in Israel. Also, in Yemen you have current problems with the restive Shia population but once more this is an internal matter and not based on expanding jihad and the same applies to Shia organizations in Iraq and Pakistan. 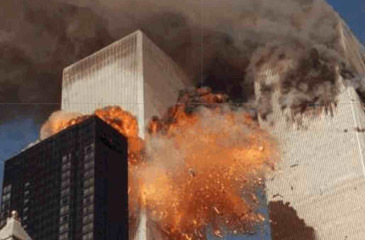 Therefore, Islamic terrorist attacks in America, India, Indonesia, Kenya, the United Kingdom, and other nations, have all been done by radical Sunni Islamists. Also, the inspiration behind these terrorist attacks is coming from the same avenue and this avenue of terrorism and global Islamic jihad can be traced back to Saudi Arabia and Pakistan. Therefore, just like B. Raman points out, we can apply this to the international arena because the same forces and with Saudi financial backing, irrespective if government or organizations or wealthy individuals, is spreading the same message of hate to other nations far and wide. Yet why do nations like America, Indonesia, and the United Kingdom, and many others, allow this? Therefore, it is clear that funding within Pakistan and Saudi Arabia is causing mayhem and it is obvious that you have “a war within Islam” and “an ongoing Islamic jihad” against moderate Muslims, other sects within Islam and against non-Muslims. Other channels of funding throughout the Middle East also applies but the mindset and ideological thinking is based on the same branches of Islam and it is clear where the counter-jihad must begin. Yet amazingly, and even after September 11th, whereby nearly all Sunni Islamists were Saudi nationals; the United States destroyed a secular based nation in Iraq and ignored the greater problem. After all, how many American soldiers and other international forces have been killed by radical Saudi Islamists in Iraq or by Saudi Arabian organizations which preach jihad and hatred? Given this, it appears that the focus of attention is based on the wrong area and even today Saudi Arabian funding is creating mayhem in mainly Muslim societies or mainly non-Muslim societies where Muslim minorities are growing. In Britain, a report about the growing rise of Islamic funding by Brunel University’s Centre for Intelligence and Security Studies highlighted the nature of the problem. The report stated that more than $491 million dollars have been spent on funding Islamic study centres and other forms of propagation. These institutions include Cambridge and Oxford, therefore, radical Islamists have gained a foothold in major circles. I myself studied at the University of London and radical Islam was clearly a daily problem and militants were often trying to spread their hatred and propaganda. It is also noticeable that Omar Sheikh who was convicted for the beheading of Daniel Pearl, the Wall Street Journal reporter, also studied at the London School of Economics. Getting back to the radical Sunni Islamic threat then it is vital to confront this threat openly and to stop hiding behind liberalism, moral relativism, or untold excuses for why we must understand the causes behind radical Sunni Islam. The apologist brigade, for example Karen Armstrong, and countless others, portray Islam to be a religion of peace but Mohammed, the prophet of Islam, did not show much peace towards his enemies, instead he either enslaved them, had them killed or they were exiled. However, the onset of Islam changed all this because over time in both Afghanistan and Uzbekistan, the older religions of Buddhism, Hinduism, and Zoroastrianism (the oldest religion), would be Islamized because of several factors. These factors were multiple but clearly the role of Islamic jihad, dhimmitude, jizya, massive persecution, slavery, forced conversion, control of resources, and so forth, all culminated in a tide of Islamization. Yet the leaders of these areas would also have believed that accommodation could have been met and that Islam was just another religion. However, Islam is based on victor and vanquished, and this religion is more like an ideology because it fuses religion, politics, economics, law, and the regulation of society, together and clearly non-Muslims are unequal (indeed Buddhists and Hindus are deemed to be subhuman because they are not people of the Book) in accordance with the teachings of Islam. Even in 2009 apostates from Islam can be killed in accordance with the teachings of Mohammed and other religious believers are still suffering from Islamization. This applies to Christians being burnt alive in Pakistan, apostates from Islam being killed in Somalia, attacks against Ahmadiyya Muslims in Pakistan, persecution of Baha’is in Iran, Christian pastors being beheaded in northern Nigeria, Assyrian Christians and other minorities (Shabaks, Yazidis and Mandaean) also fear daily attacks and the same applies to the persecution of Coptic Christians in Egypt. The forces of Islamic jihad is ongoing and Buddhists face severe persecution in southern Thailand and the Chittagong Hill Tracts (also Christian and Hindu tribal’s) in Bangladesh and of course Buddhism in history always collapsed when Islamic armies conquered their lands. Now this war against non-Muslims and moderate Muslims alike is being waged in northern Nigeria against Christians, against Ahmadiyya Muslims in Pakistan, against Hindus in Bangladesh and Pakistan, and against Buddhists in southern Thailand. The same also applies to countless other conflicts or nations where minorities suffer enormous persecution, for example the persecution of Coptic Christians in Egypt. This jihad is now being propagated within nations like America and the United Kingdom. Yet how can you confront your enemy when you have to play by political correctness, pander to the very same people who want to enforce Islamic Sharia law on you or have dialogue with a religion which supports killing all apostates and treating non-Muslims unequally in Islamic Sharia law? If we ignore the past diversity of Afghanistan, Bangladesh, Pakistan, and Uzbekistan, then one day our civilizations may end up the same way? After all, just like the past, religious leaders and elites within the Buddhist, Hindu, Nestorian Christian, and Zoroastrian communities did not understand the true nature of Islam. However, by the time they understood it was too late and today Buddhism in Afghanistan and Pakistan is a distant memory and the same applies to Zoroastrianism in Uzbekistan. At the same time, in the modern world Buddhism may soon be a distant memory in southern Thailand if Islamists get their way and maybe Iraq will soon have no more Mandaeans? Therefore, it is vital to stop major funding which is spreading radical Sunni Islam and to focus on where the threat is. It is also vital that national governments work together and that history is not forgotten. Also, more attention must be focused on persecution and injustice “within the House of Islam” and the “real Mohammed” must be told instead of the Western liberal version which is bent on appeasement and revisionism.